Listen to three reports from the New England News Collaborative on Massachusetts' decision to contract with Central Maine Power's hydro-fueled transmission line instead of Northern Pass. “We're pleased that the process is moving ahead and Northern Pass has been terminated,” says Brad Campbell, head of the Conservation Law Foundation. CLF vigorously opposed Northern Pass, for many of the same environmental reasons that caused New Hampshire siting officials to reject the Eversource project in February. That rejection threw a wrench in Massachusetts’ utilities’ negotiations of a 20-year contract to buy Northern Pass’ electricity. On Wednesday, Massachusetts officials pulled the plug on the proposal, and went with Plan B – to bring hydroelectric power from Quebec through Maine. Massachusetts Department of Public Utilities will begin hearings into the New England Clean Energy Connect project at the end of April. Its developer, Central Maine Power or CMP, is a subsidiary of international energy giant Avangrid and is the largest transmission provider in Maine. Campbell says CMP’s project also poses environmental concerns – but they're manageable. “We believe they can ultimately be addressed in the permitting process, especially given that roughly two-thirds of the line is in existing right of way,” he says. 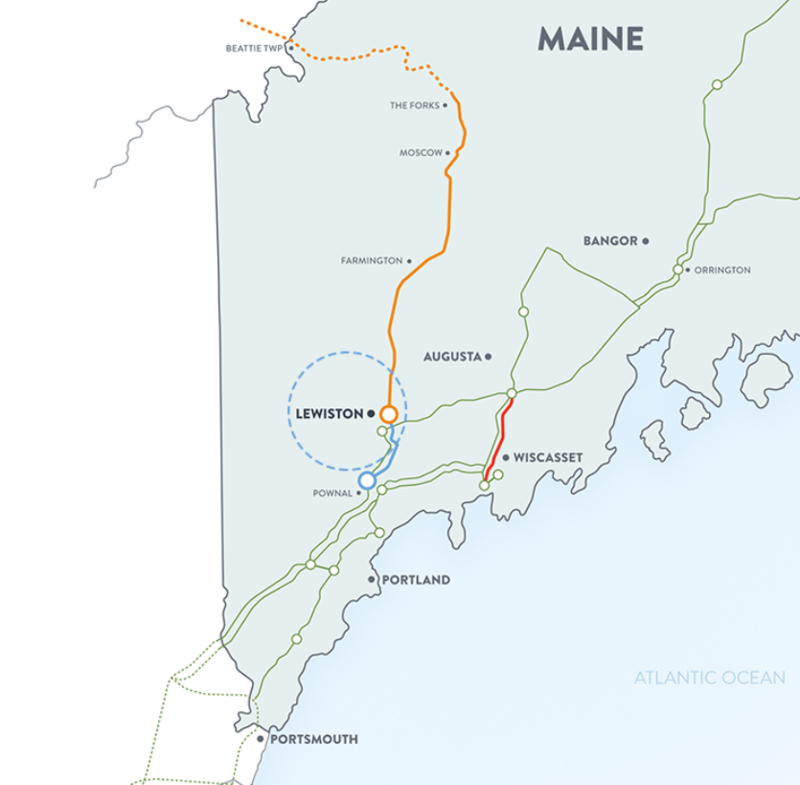 The $950 million Maine project would run 145 miles of new transmission lines from Canada to Lewiston, Maine, where it would hook into the regional grid. Dan Dolan is president of the New England Power Generators Association, which opposes any state mandate requiring utilities to buy clean energy. “In our estimation, it's going to be one of the most expensive power contracts Massachusetts consumers will ever have to pay for,” Dolan says. He estimates wholesale electric rates for the Hydro-Quebec power could be double or even triple current prices. Central Maine power spokesman John Carroll disputes those concerns. He says all of New England recently helped pay for major upgrades that were needed for grid reliability – upgrades the Clean Energy Connect project would benefit from. “We're able to plug into that and further leverage what New England has already invested in,” Carroll says. “It just makes the project more economical for everyone." He says adding competition to the regional energy marketplace will drive prices down by billions of dollars. But some here worry the project's design will make it harder for local solar or wind projects to tap into the grid. And the Natural Resources Council of Maine is firmly opposing the plan. “Lots of negative impacts on the ground, and no clear benefits to the climate,” says the NRCM’s Dylan Voorhees. He says so far, no one has offered hard evidence that Hydro-Quebec would actually provide new renewable energy to Massachusetts, rather than just shifting around existing capacity. But Hydro-Quebec spokeswoman Lynn St-Laurent says the Massachusetts contract would drive down greenhouse gas emissions. "We are absolutely convinced that this will bring [greenhouse gas] reductions,” she says. “We have additional energy available for sale to our export markets today. We have the capacity." CMP says it expects to win state and federal permits in time for a 2019 groundbreaking. 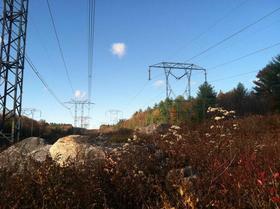 The Maine utility’s victory in Massachusetts is a big loss for Eversource in New Hampshire. The utility’s embattled Northern Pass proposal, to bring Canadian hydropower through the White Mountains, has a price tag of $1.6 billion. And a long-term deal with the Bay State would have helped pay for it. But Eversource spokesman Martin Murray says this isn't the end. For now, he says they’ll focus on appealing for their final building permit, which the New Hampshire Site Evaluation Committee denied in February. The appeal may end up at the state Supreme Court months from now. And longtime opponents aren't backing down. Here's Jack Savage of the Society for the Protection of New Hampshire Forests. “I think everybody who’s been involved in this will stay extremely vigilant, making sure that Northern Pass doesn’t find some other way to suggest that they can go forward,” Savage says. Even if Northern Pass can get built, energy analyst Jim Bride says they’ll need a new financial backer. But Bride says hypothetically, more than one Hydro Quebec-fueled project could exist in New England. 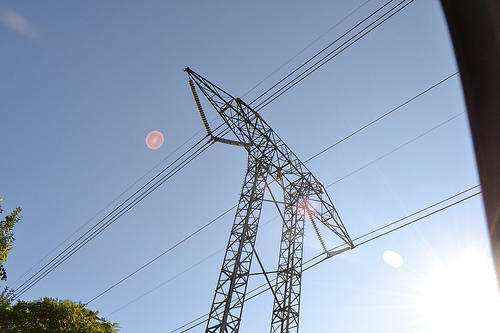 Along with Northern Pass, the giant state utility had ties to other projects that lost out in Massachusetts this year. Eversource and other developers may not have long to wait. Southern New England states are already planning their next big clean energy purchases. This story was updated Wednesday afternoon with additional reporting from Maine Public Radio's Fred Bever and WBUR's Bruce Gellerman.